Don’t leave your arrival on Ko Lipe to chance. 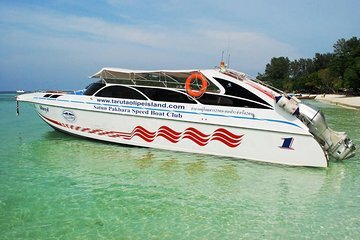 Book your transfer from Satun ahead of time direct from Pakbara Pier. Just pick between one of three daily departures—in high season and in low—and meet the crew at least 30 minutes before departure. After a short stopover on Koh Tarutao, land on Pattaya Beach: Ko Lipe is a small island and your hotel will be in walking distance.